It may not always feel this way, but in F1 pretty much anything can happen. Really. I mean someone trying to win a world championship by driving slowly? We got it. But nevertheless it contributed to an extremely tense title showdown. Yet one that again in a chief theme of recent weeks somehow ended with the drivers' championship rather as you were. We could have seen the question coming. Even though it's a silly question. As no driver, certainly not the front-running ones, has likely ever defied allocation quite like Nico Rosberg. The silly question being whether the newly-crowned Nico is a deserving champion. Even though the World Drivers' Championship isn't the sort of prize that you can just fall backwards in to. In my latest for Grand Prix Times I explain that with Nico's world title, in Clint Eastwood's words, "deserve's got nothing to do with it". That he's a worthy champion for a number of reasons, as well as look into why he might have been so hard to pin down in the public mind for all of this time. 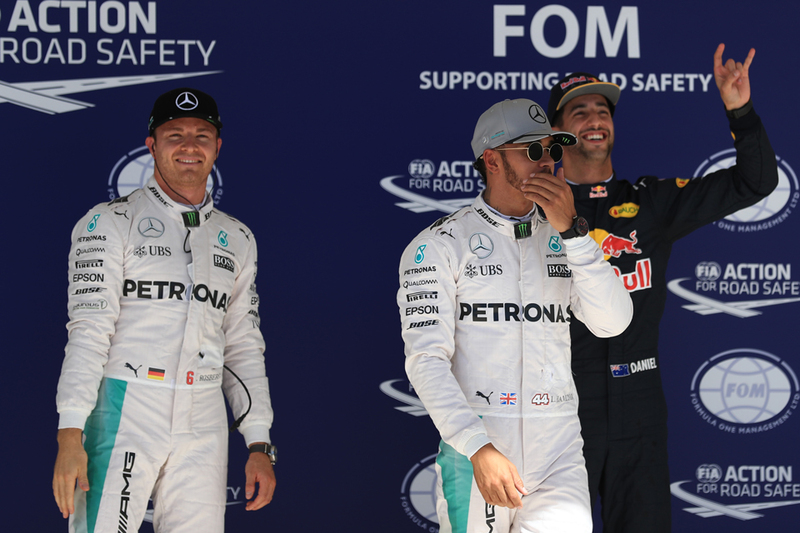 Inside Line F1 Podcast - Rosberg Wins, But Was Hamilton Fair? 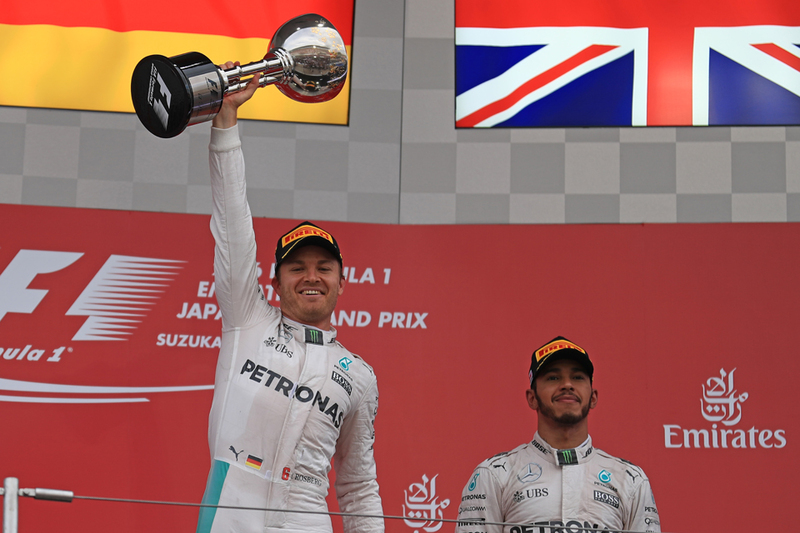 In a special and unplanned episode of the Inside Line F1 Podcast, we celebrate Nico Rosberg's first-ever Formula 1 World Championship victory. 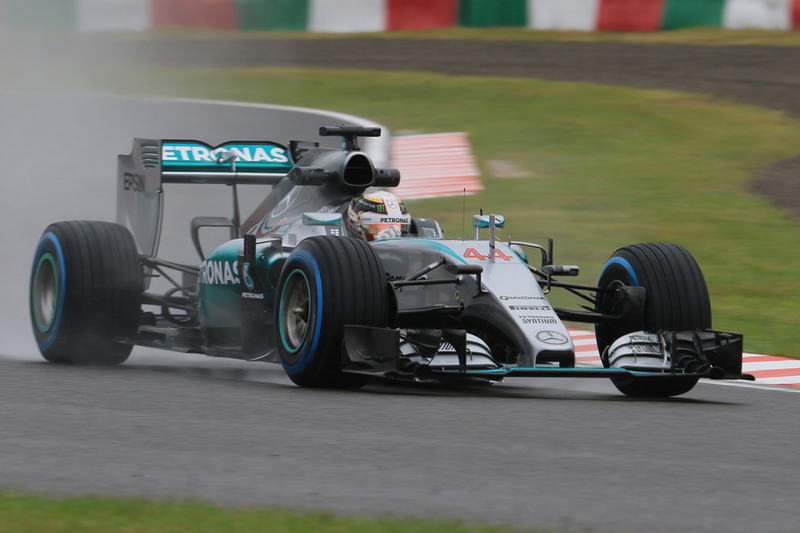 We debate whether Lewis Hamilton's tactic to slow down Rosberg was fair. A clash of objectives between a team trying to win every race it can and its driver trying to win his fourth Drivers' Championship! How will Mercedes settle Hamilton's disobedience of a team instruction? And should Mercedes have interfered this much in the race given that the Constructors' Championship was sealed many races ago? So the chief theme of recent weeks continued, somehow. After more than an hour and a half of racing in Abu Dhabi's season finale we ended up where we started, somehow. It was not a final round containing a dramatic final twist. Or great drama of any variety. Indeed calling it racing as I did above probably is stretching matters a little. But what we did get was tension. A lot of it. The chief theme of Lewis Hamilton winning and Nico Rosberg following him in was unabated, and it meant that Nico indeed takes the 2016 World Drivers' Championship. There were plenty of reasons in advance to expect that, whatever else happened in our latest F1 title showdown, that Lewis Hamilton would annihilate them on track. On the top of his form and mood, having won the previous three from pole. Determinedly relishing the role of the previously-unfortunate and currently-unlikely comeback kid. Plus he's quite the specialist at this Yas Marina track in Abu Dhabi, particularly its final sector. And so far annihilation is what we've got. Even F1 makes transparent sense sometimes. It's looked that way all weekend. The title-battling Mercedes pair have been on top for the most part, and Lewis of them has looked a step ahead almost always. This story continued unabated in qualifying. Lewis was smooth, immaculate and imperious throughout, and set a stunning final time of 1m 38.755 to bag pole position for tomorrow's decider, seemingly without effort. "Lewis did an incredible job, an incredible lap - you can't say more," an observing Niki Lauda noted, as ever summing matters up succinctly. Here's the latest Lights to Flag podcast. Ewan, Jack Amey and I to look ahead to our showdown to the 2016 drivers' championship in Abu Dhabi, and our Nico vs. Lewis battle. 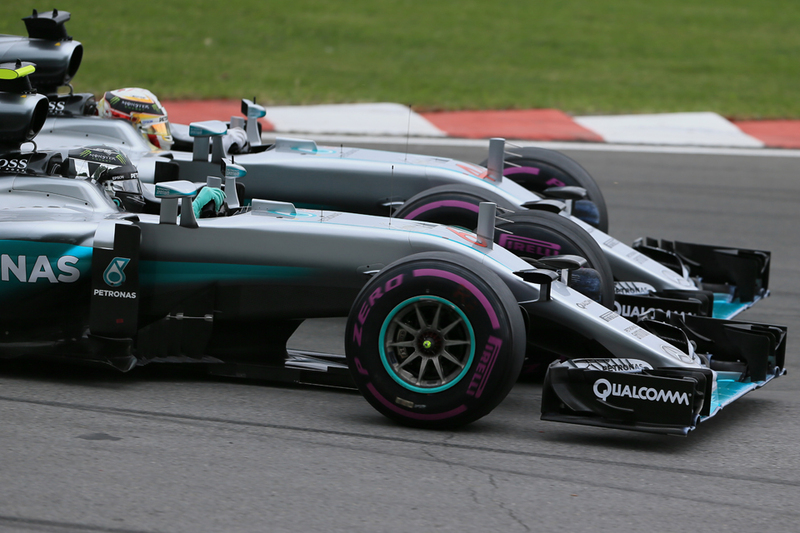 We look at what we can expect, both for the Mercedes and for their rivals. We also look at other recent F1 matters, such as that it's likely to be Jenson Button's final Grand Prix, the regulation changes that await for next year, Zak Brown's appointment at McLaren, as well as the upshots of Bernie Ecclestone's recent comments on the future of certain races as well as the mooting of shorter Grands Prix. As the Hamilton vs. Rosberg title battle goes down to the wire, the big question is who will win the 2016 World Drivers' Championship. While the odds may be stacked in Rosberg's favour, this is Formula 1 - and nothing's over till it's over. Could Max Verstappen and Red Bull Racing be Lewis Hamilton's best ally in the 'duel of the desert'? Here's a prediction we're going to stick our heads out and make - respective of the outcome, when fans look back on the season they'll probably believe that 'the best driver did not win'. Niki Lauda thinks that Max Verstappen could be the greatest ever Formula 1 driver - but he needs to be "careful" on his way. Cute that Lauda still thinks that Max will listen to him. As we all know, Max Verstappen listens to NOBODY! Meanwhile, Carlos Sainz admits that the drivers themselves don't understand Formula 1's rules. What hope do we ordinary mortals have then? Bernie Ecclestone said some pretty interesting (and scandalous) things last week. He said Singapore "was just an airport" before Formula 1 happened and talked about Americans and their short attention spans. Bernie proposed a new double header race format and we tell you what we think about it. Of course, as fans, we're thrilled! Mithila's wish for Abu Dhabi is for fans to be treated to a serious Hamilton vs. Rosberg wheel to wheel battle on track. Could there be a better way to decide the World Championship? Formula 1 bids goodbye to two great drivers, Felipe Massa and Jenson Button. Finally, we make a confident prediction about Verstappen in Abu Dhabi. Tune in! Sport has an incredible reductive quality. While prizes usually are based on achievements accumulated over an extended period, somehow they often end up being decided in the margins. Often too at the last. It goes a long way to explaining why even apparently minor setbacks are lamented; the probability is that whatever was left on the table then will come in handy later. And there's no way of getting it back. So it is in F1 and particularly with the determination of its World Drivers' Championship. 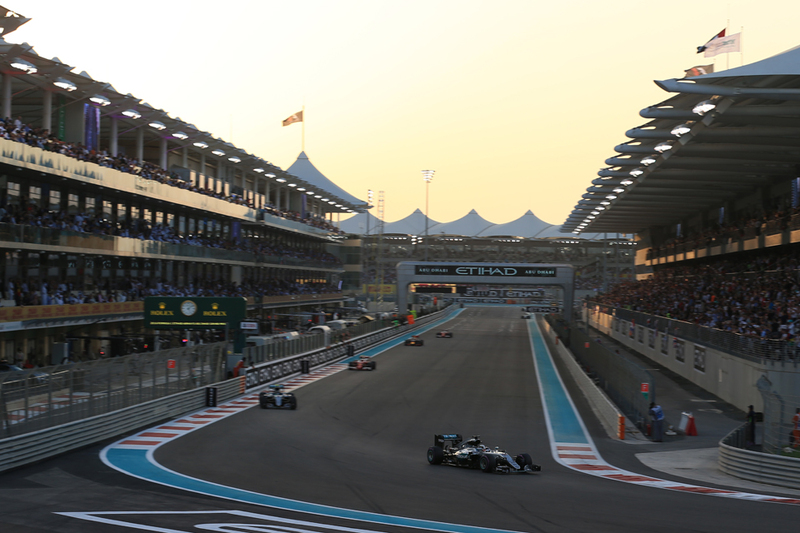 So it is too this weekend as 2016 reaches its endgame at the Yas Marina circuit in Abu Dhabi. Even after the longest season ever, some 21 races, and its thousands of miles of racing over several months, it all comes down to this. The ever-haughty Mercedes duo of Nico Rosberg and Lewis Hamilton are the protagonists, the former but 12 points ahead with 25 yet available. No wonder therefore Lewis decried Red Bull's rolling of strategy dice last time out in Brazil, given it allowed his title rival Nico to finish second there rather than third or perhaps even fourth. Had one Red Bull got in front of him in Interlagos Nico this time could have afforded no less than finishing next up to his team mate to ensure the crown. Had both Bulls finished ahead then we'd have a straight winner takes all showdown. In either case the situation would have felt rather different to what we've got. The latest Lights to Flag podcast is here. Ewan and I were pleased to be joined again by Luke Smith to look back on an astonishing Brazilian Grand Prix. Interlagos, and its weather, did its worst, and gave us all the extremes. Not least some brilliant drives. We reflect on all of them. We also look at the recent news of Ron Dennis being shoved to one side at McLaren, what caused it and what might be next for the team. It was a day of extremes, and opposites. In some ways utterly in the lap of the Gods; in others achingly predictable. We started in that familiar way on days that the rain comes down, with seemingly unending delays - and no little lamenting of the modern sport and its drivers. And we ended with something raw, and confirming that those same drivers in fact lack very little in skill and bravery. One of them particularly lacks it. And somehow, we ended it all with the drivers' championship rather as you were. The 2016 Brazilian Grand Prix could have given Formula 1 a new World Champion, but it didn't. However, it confirmed a fact that didn't need much confirming - that Max Verstappen is absolute World Champion material. Irrespective of the outcome of the World Drivers' Championship, 2016 will be remembered for the brilliance of Max Verstappen. 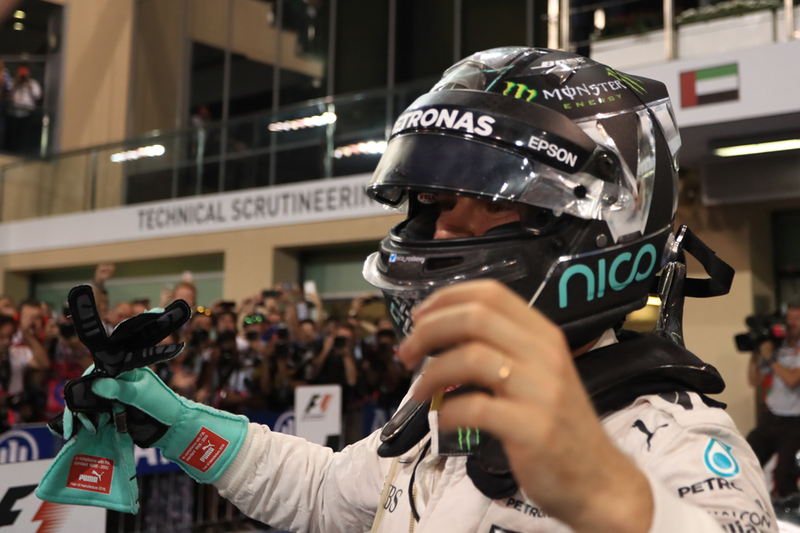 Lewis Hamilton won his first-ever race in Ayrton Senna's land ensuring that Abu Dhabi hosts the title decider yet again. We guess that Bernie Ecclestone and the Sheikhs would be very pleased given the amount of money they pay as hosting fees! On the Inside Line F1 Podcast this week, we laugh over Fernando Alonso's sense of humour. He was a horrible cameraman, but hey, at least he gave us a good laugh! Alonso also said that F1 should pay fans to watch the sport. Though ironically, thanks to all his engine woes, Alonso has been the sports highest paid viewer for the better part of the last two seasons! The success of the wet race in Brazil makes us wonder whether Bernie's sprinkler idea is all that bad after all! Pirelli's extreme wet tyres are so bad, but then we guess that's true of all their tyres. Felipe Massa had an emotional farewell in Brazil, and we are sure that Jenson Button was slightly jealous – though that’s the price you pay for not making up your mind! And a gutsy Sergio Perez dumped his new sponsor on Twitter for a joke that clearly wasn't funny. Finally, the big question: As we head to the title decider in Abu Dhabi, who is going to emerge as World Champion? Tune in! Between the lakes, Interlagos translates as. Never did it seem more appropriate. Yes, the local wackiness that threatened to but didn't arrive yesterday did today. Or it sort of did. The weather did its very worst from overnight between Saturday and Sunday, and didn't really ever stop. The disruption of the fare was typical really - a delayed race start, then slow circulating behind the safety car. Two red flag periods. Plenty thought at either of them that we wouldn't see any more action. But also typically we did eventually get action, all of the proscribed distance indeed, and we were thankful that we did. 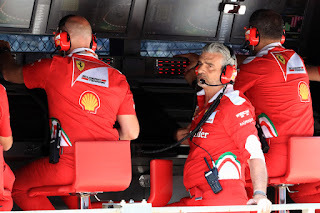 As each delay was met with inevitable claims that the modern F1 pilot lacks in fortitude compared with their predecessors of generations passed, they then demonstrated not for the first time they lack nothing in that. But as I said the local wackiness only sort of arrived, as not even that could set our story arc off its script. Somehow and scarcely credibly after all those 71 laps and the disruption outlined, taking us upwards of three hours from start to finish, we yet ended up roughly where we started. 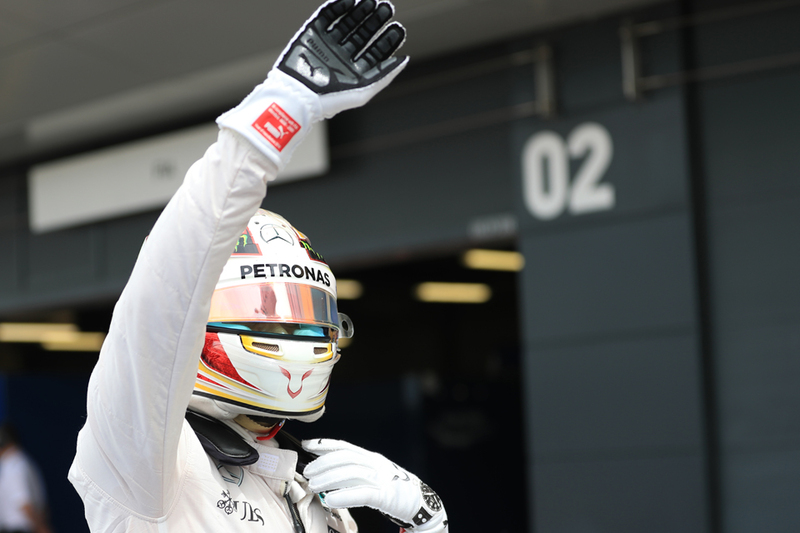 Lewis Hamilton won from pole, again (his first win at this venue). His team mate and title antagonist Nico Rosberg followed him in having started second, again. In both cases just like in the previous two rounds. In both cases it was all they needed to do to keep the championship chase ticking along. Thus, again, it's as you were. Interlagos must be losing its edge. The F1 equivalent of the Bermuda Triangle, where anything can and often does go down, this time was sedate. Not even entering this Brazilian Grand Prix qualifying hour with a 70% chance of rain meant that it did its worst, or anything like it. Aside from the odd tiny sprinkle the rain stayed away; so did most of the local wackiness. And with this the outcome was as you were. As you were for this weekend, and as you were for recent rounds. Lewis Hamilton remained consistently ahead of his Mercedes team mate and title foe Nico Rosberg, and took the pole with Nico next up. Not even Interlagos - not only with its funkiness but also that he'd never won nor taken pole here before - could halt the Englishman today. And it's as you were for the title too, with the shadow boxing of the past few weeks between the two Merc antagonists continuing. Lewis is doing what you can by leading; Nico is doing what he needs by following him in. Neither yet has delivered a knock out blow. The latest Lights to Flag podcast is with us. Ewan and I were joined again by Jack Amey and we looked at the hot off the press 2017 drivers' market news with the musical chairs' seats suddenly being claimed rapidly - Esteban Ocon going to Force India, Jolyon Palmer being retained at Renault and Kevin Magnussen poised to be confirmed at Haas. It seems from another age now, but at the outset of this season we were convinced that Mercedes would have something to think about. From the red corner. Ferrari made an astonishingly bound forward between 2014 and 2015 and a similar bound we thought would give us a title fight. The sport's most famous name looked back on song - what could possibly go amiss? Well, as suggested, plenty has gone amiss. And in my latest my Grand Prix Times I explain why Ferrari's difficult season should have been no surprise. 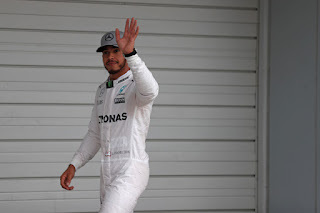 The 2016 Brazilian Grand Prix could be a Grand Prix of firsts for the Mercedes drivers. 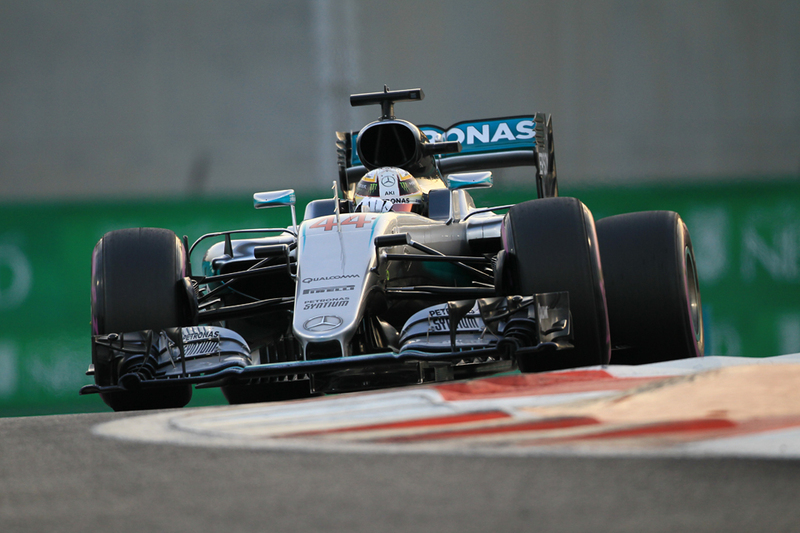 Lewis Hamilton could win his first-ever Brazilian Grand Prix OR Nico Rosberg could win his first-ever Formula 1 Drivers' Championship. Let's hope the 'best driver' wins. In which case, shouldn't it then be Fernando Alonso? 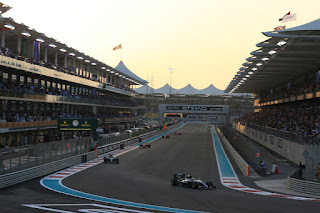 We're loving the suspense and surprise of title fight this season and don't mind it being taken forward to Abu Dhabi. After all, there's finally some surprise in the sport other than Max Verstappen! Unless, of course, you're Robbie Williams. While Abu Dhabi pays millions hoping to host a 'title decider', Brazil has done so six times in our recent memory. By the way, the 2012 edition of the race was also McLaren and Jenson Button's last win. What are the bets we could be repeating this statistic for McLaren this time, next year? As we look forward to Interlagos, we share our vivid memories of a circuit that made Timo Glock world famous. We also remember a rare and unexpected robbery attempt on Jenson Button, Adrian Newey's Red Bull Racing 'tank' that withstood a bang in 2012 and Schumi helping Baby Schumi to his third world title. Will Nico Rosberg be able to race in Brazil without thinking of the Drivers' Championship? He's made the 'race-by-race' approach work, till date. We're sure that mind games will be at their absolute best. And as tough as it will ever be, we try and settle this whole 'Does Nico Rosberg deserve the Drivers' Championship?' debate. Let's remember, by saying that someone was 'lucky' to win a Formula 1 Drivers' Championship, that too in its longest season ever, might be belittling the title in itself! 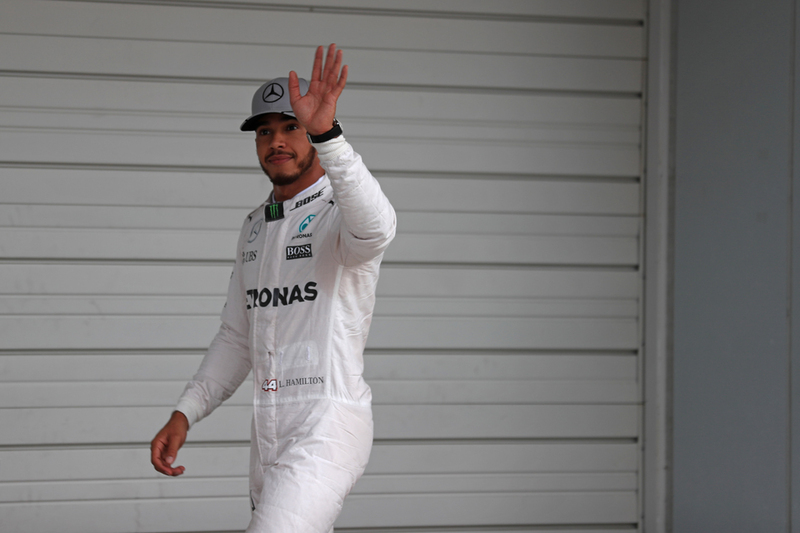 As for Lewis Hamilton, we hope he's learning lessons from Serena Williams on how to thwart a 'match point'. Actually, who better than Williams to teach him. Gravel traps, yes or no? Formula 1 has senseless penalties. It would be good to see some sensible ones applied too, especially for exceeding track limits. All sports have one. In fact, the one sport that doesn't is World Wrestling Entertainment. And how on earth did Sebastian Vettel go scot free after his expletive laden radio message in Mexico? It is one thing to not respect competitors, but it is another to not respect the Race Director. The least they should've done was strip him of his 'Driver of the Day' award. But the FIA isn't in setting examples, so we shouldn't be surprised. Fernando Alonso has called the current Formula 1 as Formula 1/2 (or Formula 0.5)! This is probably better than being classified as GP2. If Ross Brawn is indeed interested in working on the long term plans for the sport, it should include a robust part that should have the best drivers on the grid race in Formula 1 cars and not Formula 0.5! Finally, just when we thought that almost no one would be been interested in learning from Formula 1, an Olympic Champion has indicated how skiing should use Formula 1 qualifying system at their World Cups. This comes in a year when we almost ditched the only thing that's working well in the sport. Just like that, it could be over. 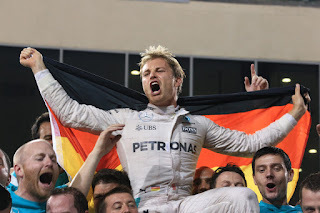 Without any disrespect intended, and despite his considerable success in 2016 and before, for a lot of us the prospect of a Nico Rosberg drivers' championship has never entirely shaken its air of unreality. Yet when this forthcoming one is done it could be absolute reality. Will Nico Rosberg in this one triumph definitively? And the task required of him to do the confirming is simple. He needs to win. Or rather, the task is complicated. And not merely as F1 wins can never be said to be easy. It particularly cannot be said to be easy this time given where this one is taking place. Granted there are plenty of things about this Interlagos venue for this weekend's Brazilian Grand Prix to tilt matters Nico's way. He's won in the last two visits, both from pole. In his own words he has "usually been pretty quick there". 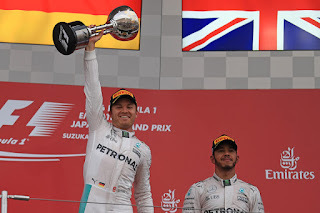 While his title rival and team mate Lewis Hamilton even with his superb recent form - winning the last two with Nico barely within shouting distance - has neither triumphed nor even started from the front of the grid in Brazil before. While, if you're a fan of historical trends, since Interlagos was shifted to a slot near or at the season's end in 2004 it has been the scene of titles being clinched aplenty - 2005, 2006, 2007, 2008, 2009 and 2012. We explore the Mexican goings-on, its many controversies and the impact of the race on the ongoing championship battle. We also look at the latest on the 2017 drivers' market including the confirmation that Lance Stroll gets a Williams gig, as well as at the rumours of Ross Brawn's return to F1. As ever you can listen via the player below.